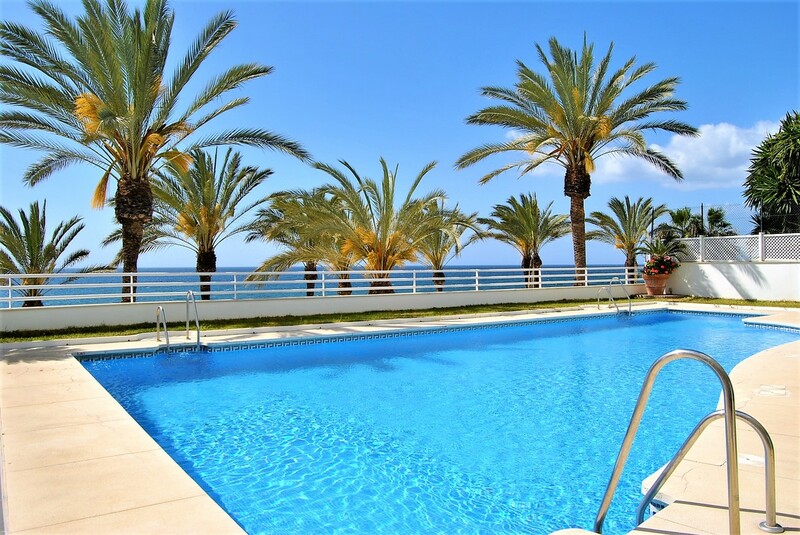 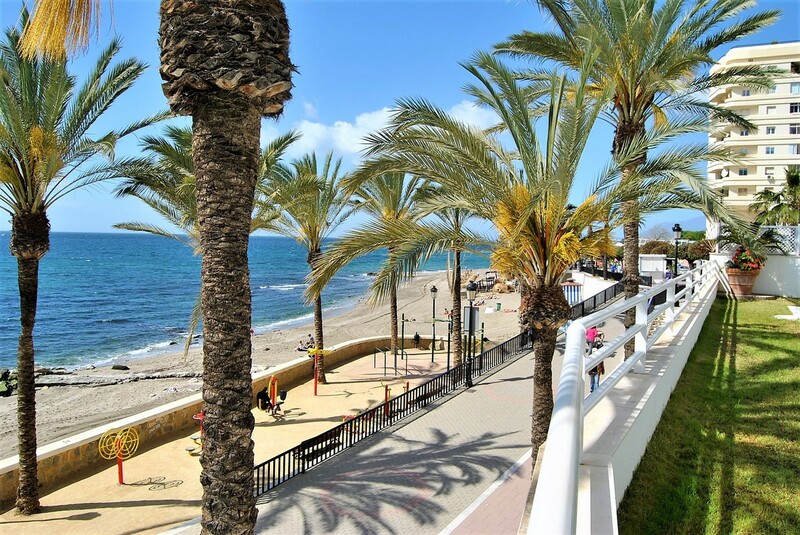 Apartment with pool first line beach in Marbella center, Costa del Sol. 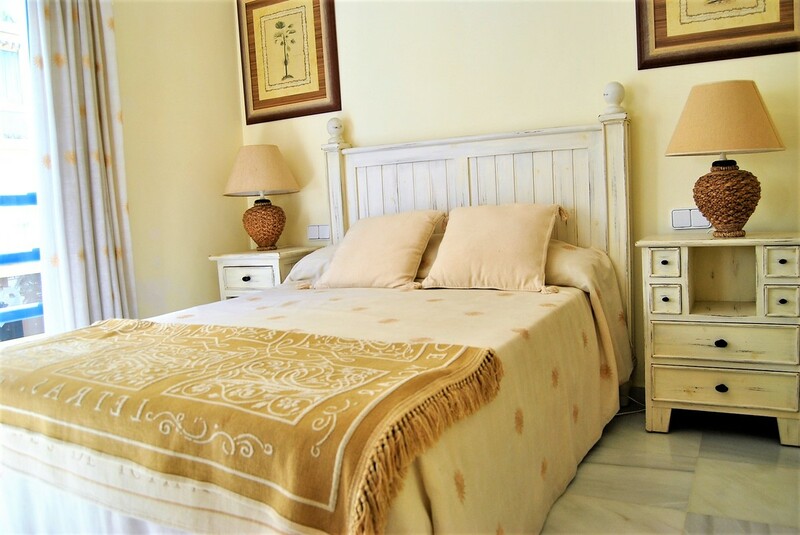 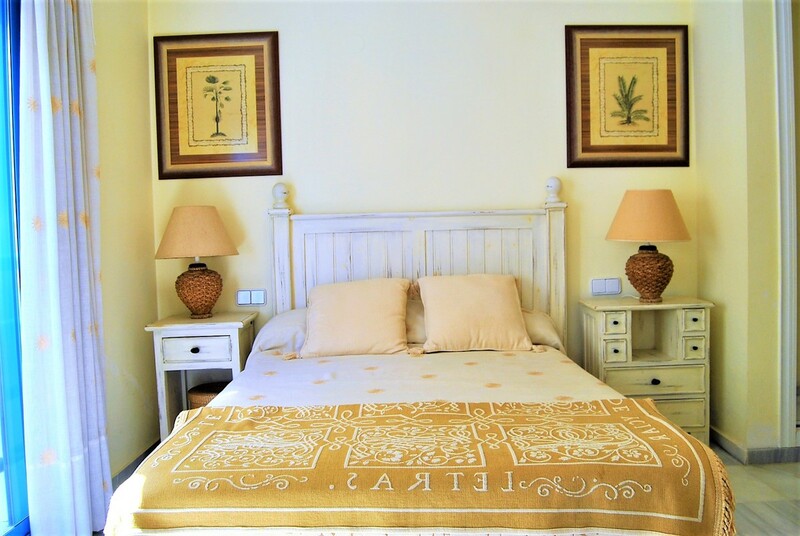 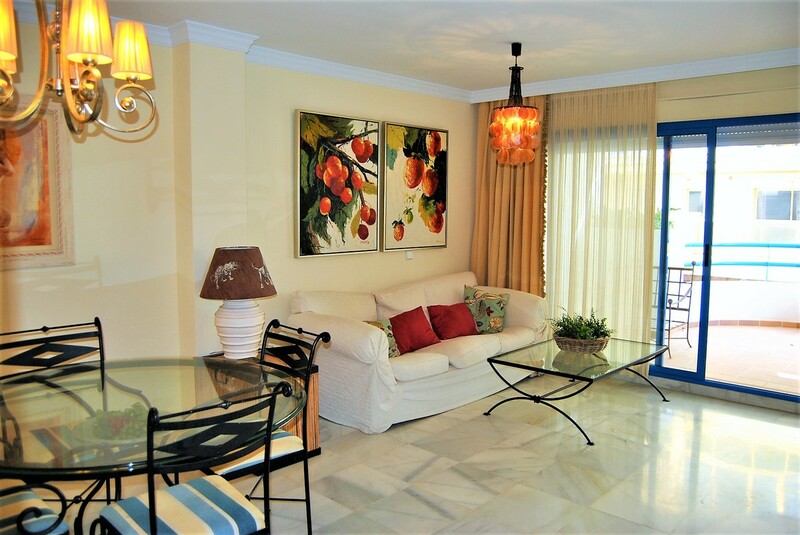 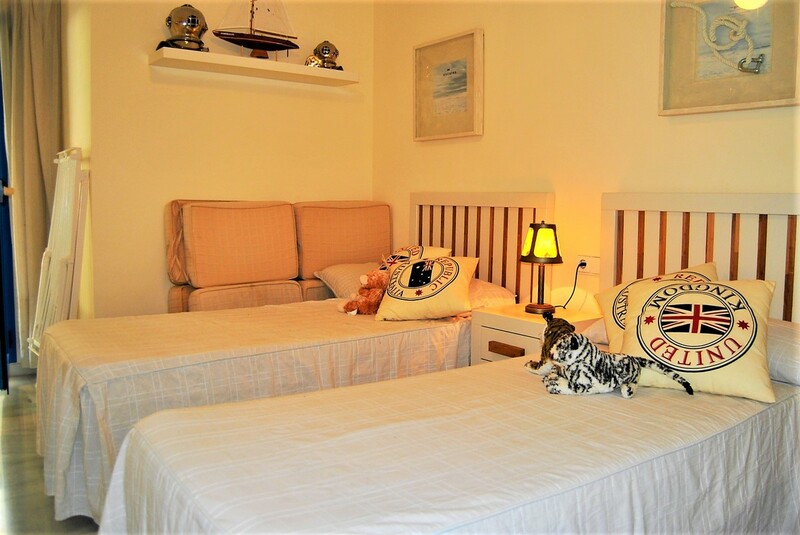 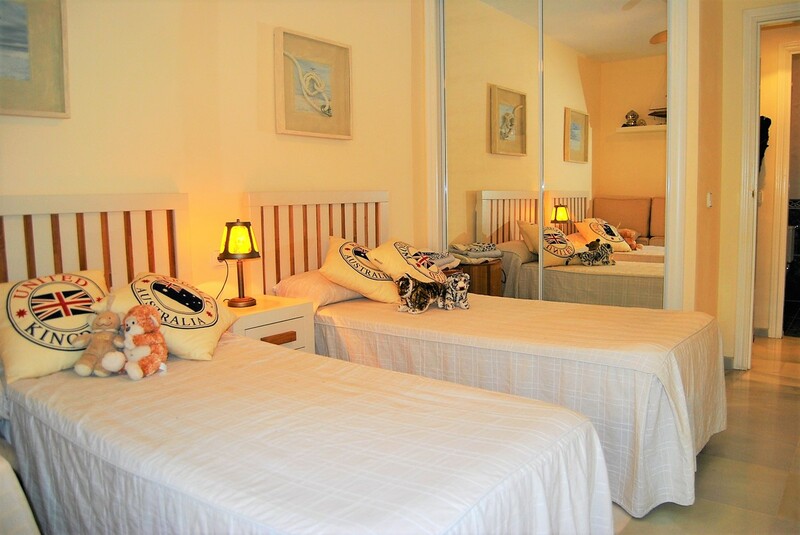 The property is located on the seafront of Marbella overlooking the Mediterranean sea and a few meters from the marina. 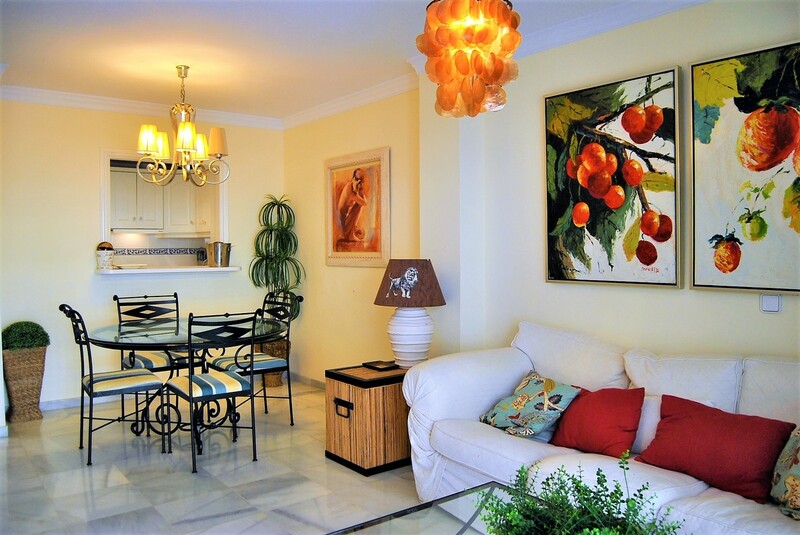 The apartment is distributed in hall, 1 large and bright living room, 2 bedrooms, 2 bathrooms, 1 terrace and 1 garage with storage. 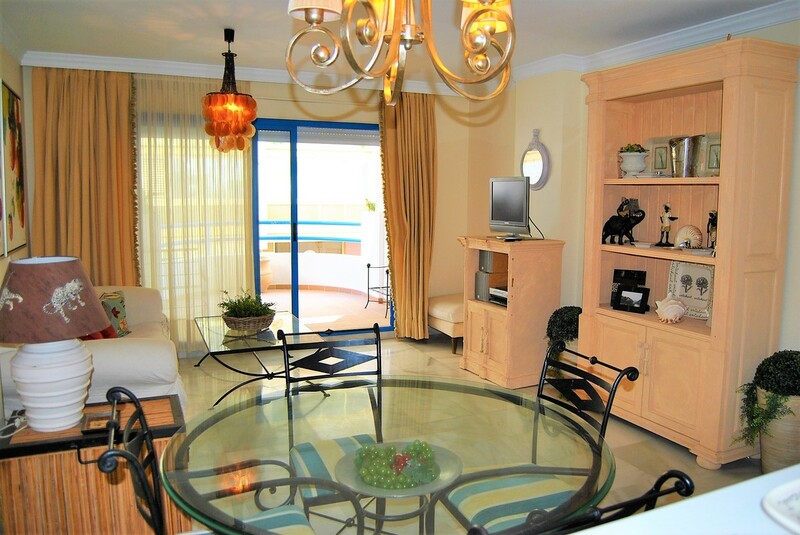 From the living room there is access to a terrace with capacity for outdoor furniture. 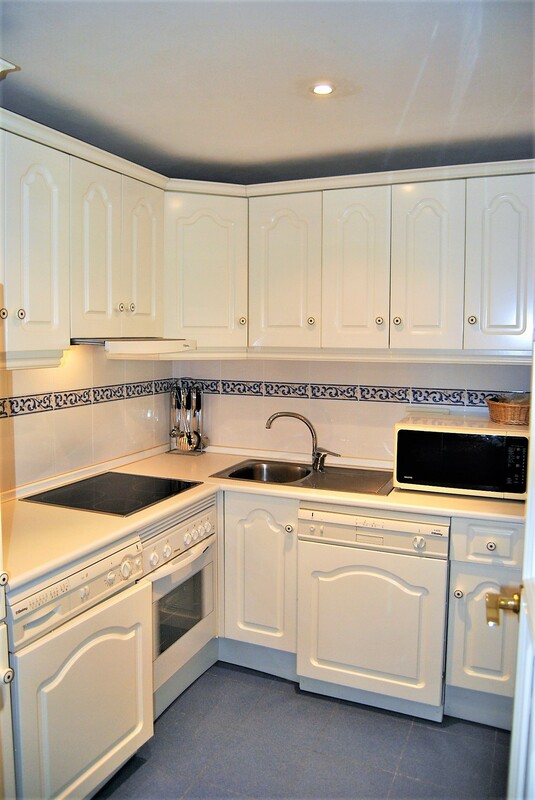 The kitchen is fully equipped and communicates directly with the dining room. 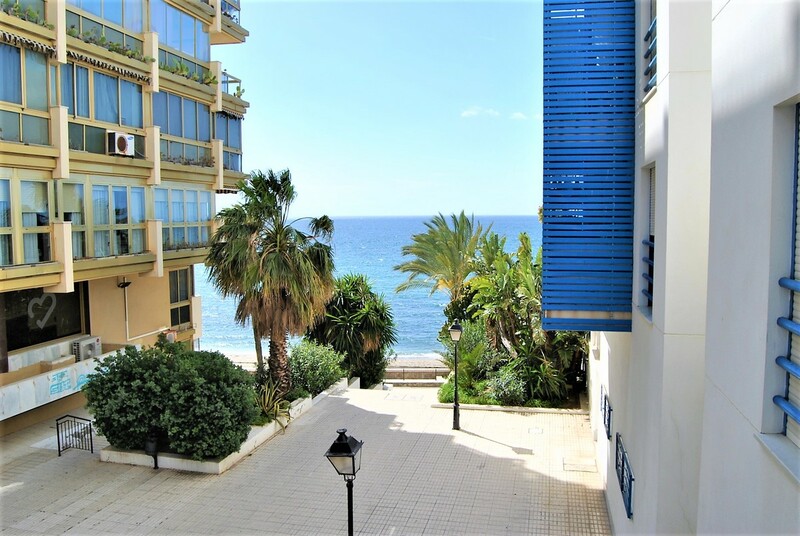 The complex is gated, has gardens and communal swimming-pool, which leads directly to the seafront. 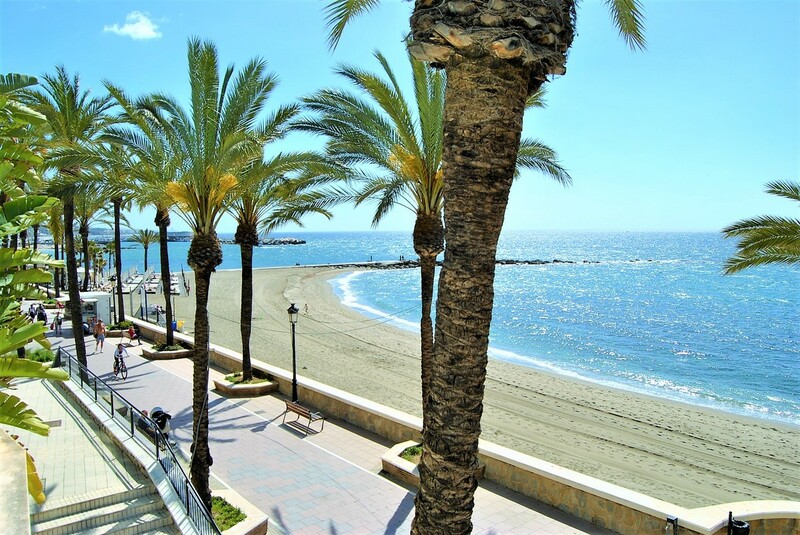 Puerto Banus is a short drive.